ESSENCE.com asked Elite model Joan Smalls to keep a journal of her castings, fittings and fashion show appearances this season. 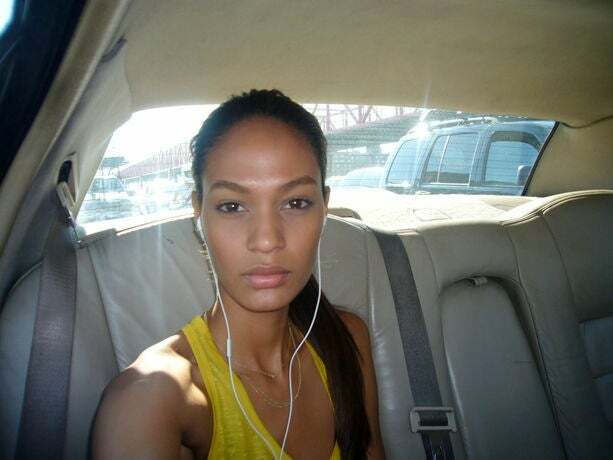 The Black and Puerto Rican model has appeared in campaigns for Ralph Lauren, The Gap, Coach and Ports 1961 and walked the runways for Oscar de la Renta and Diane von Furstenberg. Go behind the scenes of the glamorous life. Makeup guru Gucci Westman showing her assistants the look of the Oscar de la Renta show. They give you a mini facial rub before applying makeup at Oscar de la Renta. It is so relaxing. 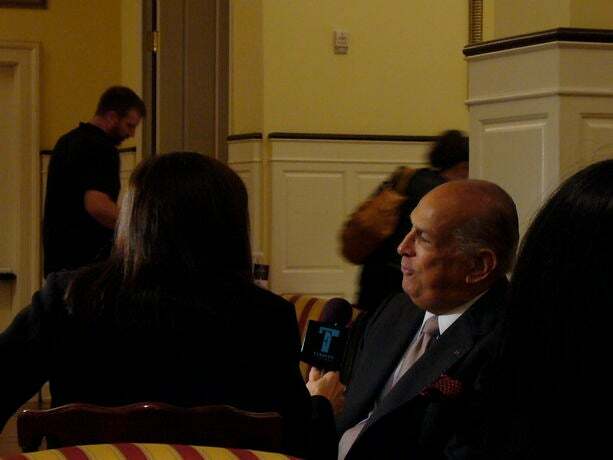 The incredible Oscar de la Renta being interviewed for Fashion TV. Getting strapped into my heels before the Oscar show. They really treat you right. 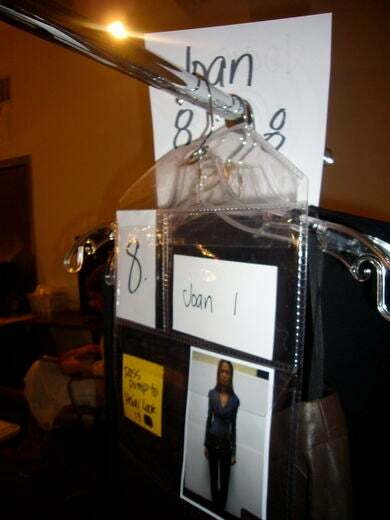 The racks of each models’ clothes. Me on the runway at Oscar de la Renta’s show! Casting director MAURILIO CARNINO from MTC Casting at the Sophie Theallet. My looks from the Sophie Theallet show. Very beautiful pieces. Getting prepped for a run-through by Maurilio before Sophie’s show. On the runway at Sophie Theallet. Casting director Jon James and me. I love this woman’s hairdo. So retro but modern at the same time. 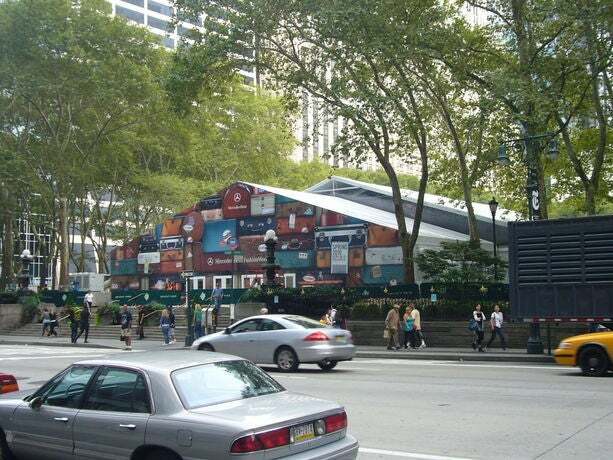 These are the Bryant Park Tents. Home to many of the fashion shows. 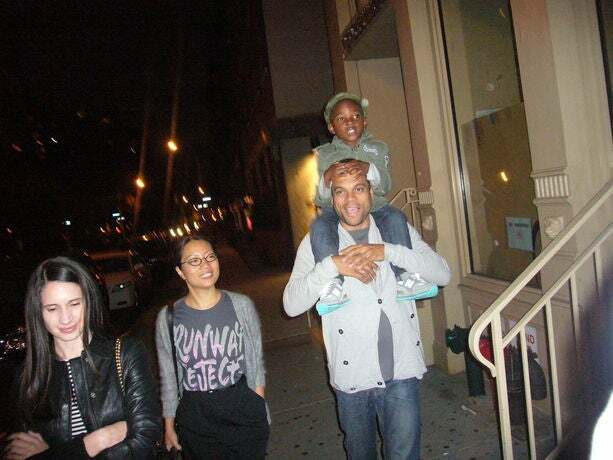 With my agents Shari and Calvin (with son Cyrus) and a friend. We hit the stores on Fashion’s Night Out. Damaris Lewis and I rockin’ these hot Marc Jacobs glasses at Fashion Night’s Out. Cyrus and I rockin the Marc Jacobs shades at the Marc Jacobs store in SOHO. The team from J. Crew. I love working with them all. Mei Tao is such a cool woman and a great photographer. Getting a final touch up by Didier Malige, the master of hair. 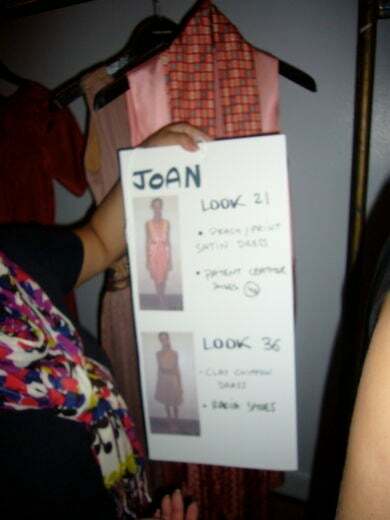 Backstage interviews with designer Juan Carlos Obando. The calm before the storm. Guests starting to arrive. Me and other models in our white robes waiting for our first looks. The hair and makeup table at the Juan Carlos Obando show. Here I am with makeup goddess Fulvia Farolfi who created the look for show. She is one of the best. My look from the Juan Carlos Obando show. The line up for the Juan Carlos Obando show. It’s so nice to see friends at castings. We all catch up on what we did over the summer!! More girls arrive and they haven’t even started seeing those of us who are here waiting. The spiciest Dominican model out there, Roza Gough. We are both with Elite. It’s nice to speak Spanish to someone other than my family. 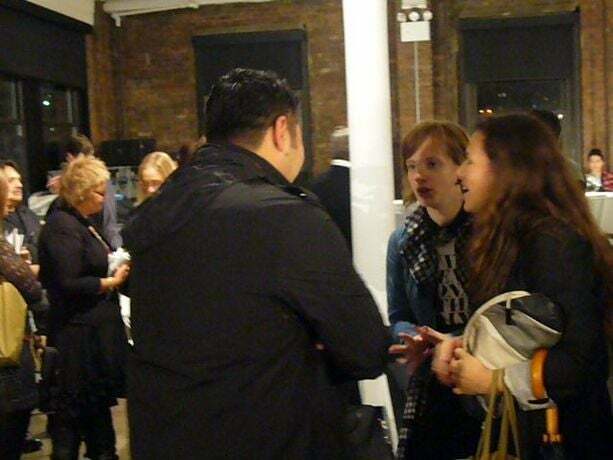 Designer Christian Siriano from “Project Runway” with casting director Colby Hewitt. I saw a sneak peek of the collection. It is to die for. While I wait for my turn, another model is being photographed. This is the fabulous Drew who works at Daniel Peddle casting. 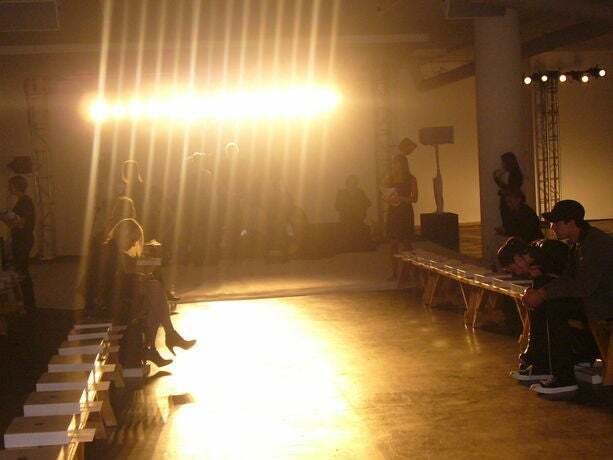 I’m here to see them for PORTS, which I did the campaign for a few seasons ago, and Phillip Lim. …A Polaroid of my good friend Damaris Lewis, the Sports Illustrated hottie. (Who is also with"Elite). When the two of us get together, watch out, because here comes trouble! Who’s that lady? Oh yeah, it’s me. Glad to see my photo up on the board. That is always a good sign. 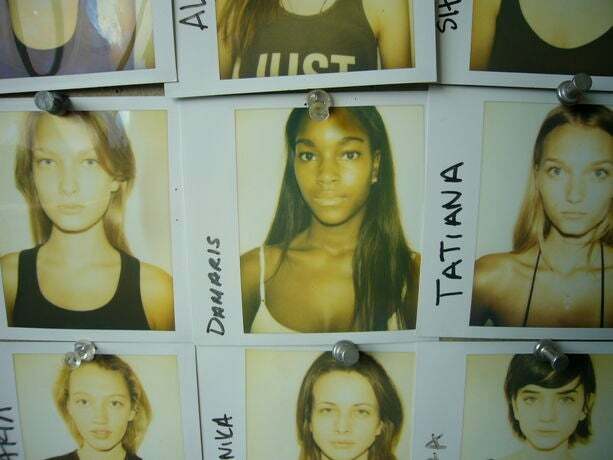 This Polaroid wall at House Productions is like the “Where’s Waldo?” of the modeling world. 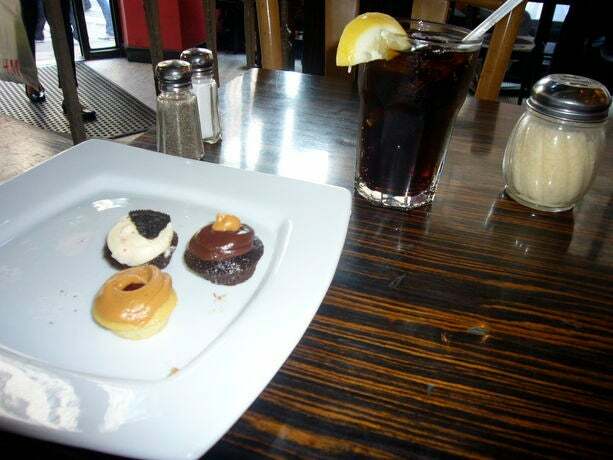 As I wait for my food at Cafe Bari in SoHo, a guy gave me some cupcakes (sweet gesture). Go figure. First thing that went through my head: “Just like my mother always said, never accept sweets from strangers.” But I have to admit, I tried one. Finally, my lunch. Pasta. Whoever said that models don’t eat is wrong. We just keep the portions small. I had to call a car service as I was running late this morning. 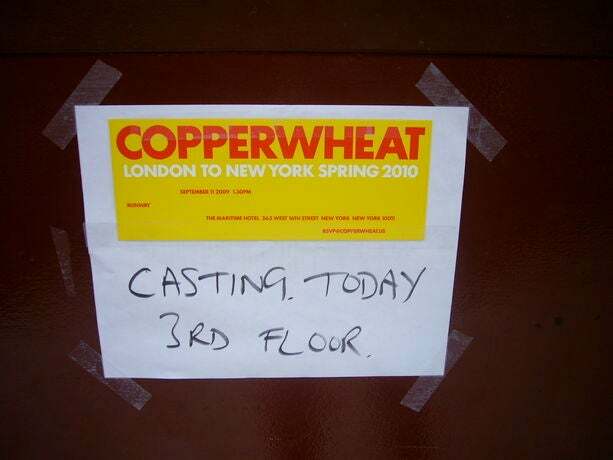 My first casting is at 10 A.M. and it was already 9:40 A.M. 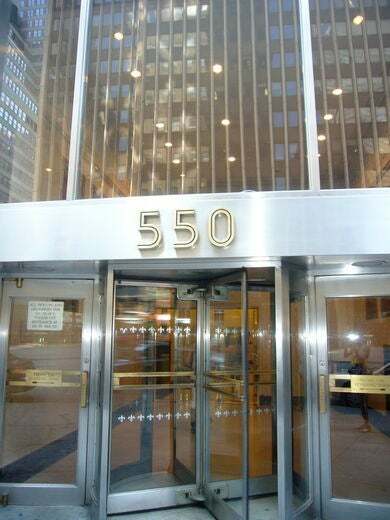 This is 550 7th Avenue, which is home to designers such as Jill Stuart, Oscar de la Renta, Donna Karan, Ralph Lauren, etc. 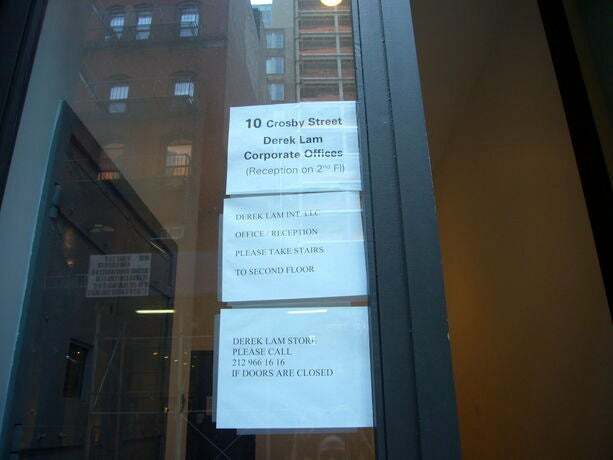 I will probably visit this building ten times this week. 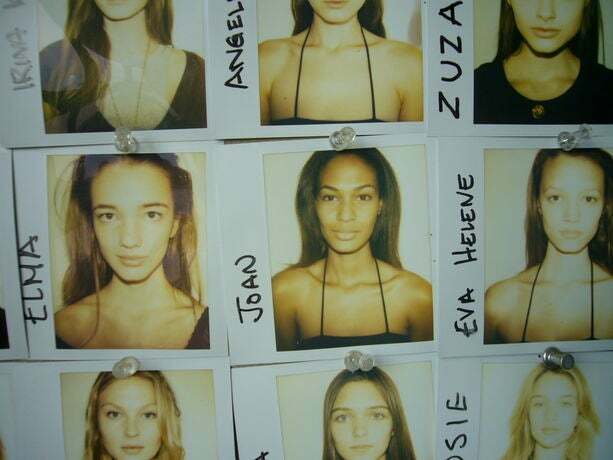 This BCBG casting was filled with friends, Georgie and Aminata. While there, we talked about what we were doing and which castings we all had to go to. I thought I would arrive early to see Russell Marsh who casts PRADA. As you can see, so did every other model. I had to wait two hours to be seen. 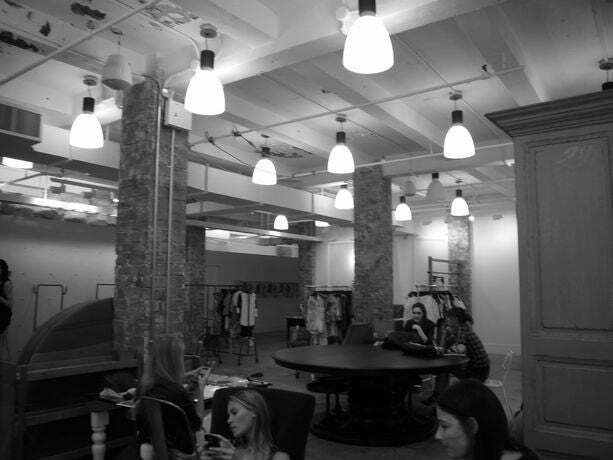 I have arrived to my second casting, which is a callback for Ports 1961. So excited as its always a pleasure to work with them. 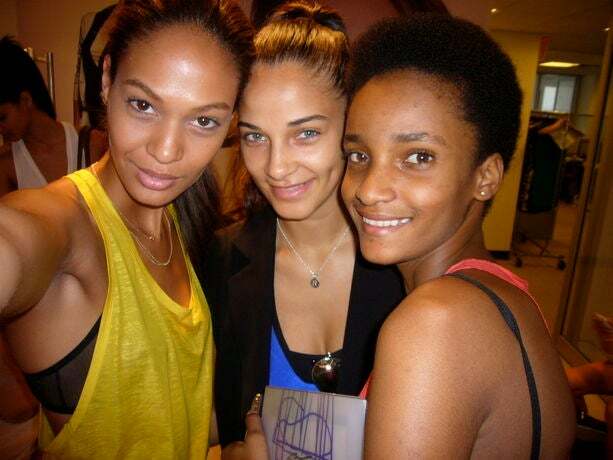 While at the BCBG casting I bumped into Roza and Rose, my fellow Latinas. They are always honest and I love someone who can be honest. My friend and fellow model Danielle does the show switcheroo. We will not be victims to bad feet. Like I said…they added another casting. Just when you think you’re done, you get another one. 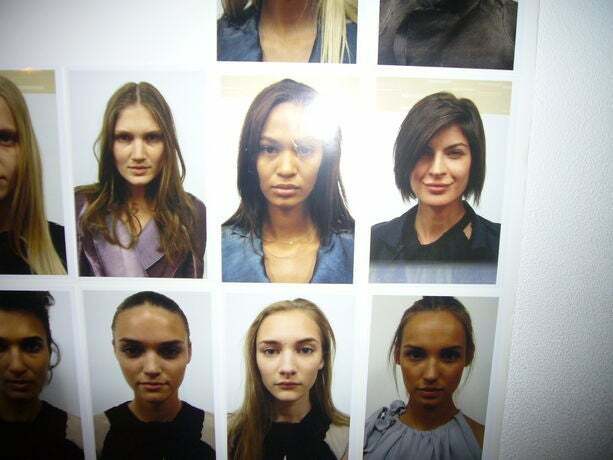 I guess that is the life of a model during fashion week. 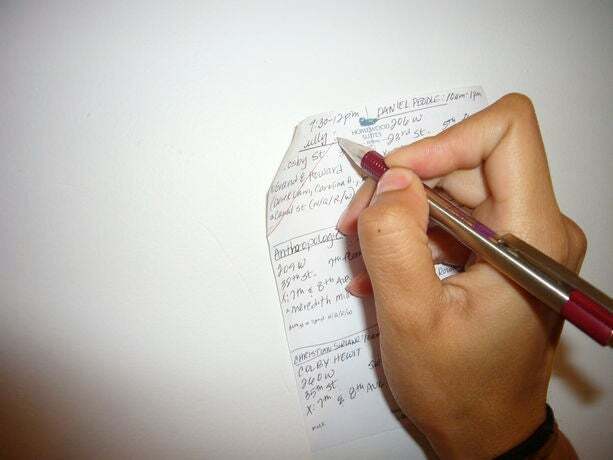 Trying to organize my schedule for the day. One down, seven more to go, unless my agency calls to add more. Casting directors James Scully & Tony Craig are always so much fun. I love going to see them. These heels are hot and comfortable and check the vents in the pants. I feel great and am ready to do my job. The process has begun from changing from sandals into heels. That’s the trick to preserve our feet. We walk all around the city in flats and then switch to heels before meeting clients. Can you imagine walking in four-inch heels all day? Ouch! Arrived at my first casting for Derek Lam. 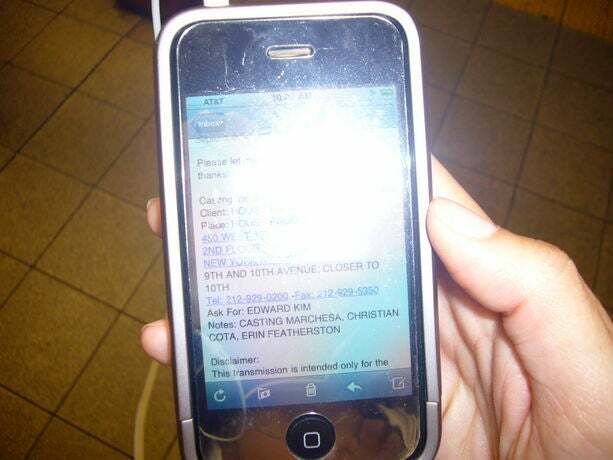 Starting the day in the zone with my iPhone. Music gives me good energy. Listening to reggaeton.